The natural habitat of a child once was the dirt in the yard, by a nearby stream, up in a tree, or nestled within a ditch. As technology has advanced and media fear has driven parents and children inside, children are quickly becoming isolated from and fearful of what was once their most natural form of play. Give a child a stick or a handful of rocks and the child has the tools for imaginative, wondrous play. It is time to embrace the best environment for play and learning- the outside. This means kicking our children out of the house; planning hiking excursions where we seek out the critters; engaging the night with a flashlight; and getting dirty- intentionally. Living in Southern California, or anywhere for that matter, we are surrounded by opportunities to engage our natural environment. The benefits? See the Children & Nature Network‘s for ideas. When dinner is done or before the table has been set, take 15 minutes each day to walk the neighborhood together. Listen for birds, identify trees, stop for the insects along the way. Your children will love it and you will come to crave this time each day. Ventura County residents are fortunate to have the beach a bird’s flight away. Go to the areas without a playground. Playgrounds are distractions from the real fun to be had- exploring the sand, creating habitats out of seaweed, building towers out of stones. Every neighborhood has hidden gems or are waiting for you to create them. Find grassy areas to explore, plant seeds and watch them grow, follow the sounds of the birds, crickets and frogs and see where they take you. 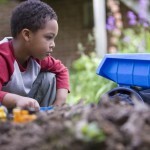 Encourage your children to play with sticks, stones, dirt and water. 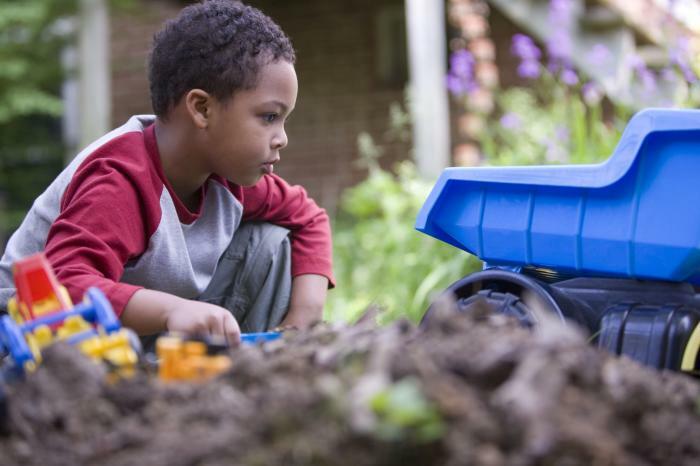 These are the key tools to environmentally inspired play. At first your child may not know what to do with them. If so, get on the ground and explore them yourself. They will soon follow and then lead you. It is contagious. Adults too experience nature deficit and need to intentionally seek out the nature around us. In his new book published in May 2011, Richard Louv makes a convincing case that through a nature-balanced existence—driven by sound economic, social, and environmental solutions—the human race can and will thrive. This timely, inspiring, and important work will give readers renewed hope while challenging them to rethink the way we live. This expanded and updated edition includes new research, a progress report on the Leave No Child Inside movement, an added Field Guide with 100 actions for families and communities, and 35 discussion points for book groups, classrooms, families and communities. Thunder Tree: Lessons from an Urban Wildland by Robert Michael Pyle. This engrossing memoir is an eloquent portrait of place. The Thunder Tree reveals the deep relationship between people—especially children—and the natural world. For a new generation of readers, Pyle’s environmental coming-of-age story offers a powerful argument for preserving opportunities to explore nature. Wild Play: Parenting adventures in the great outdoors by David Sobel. 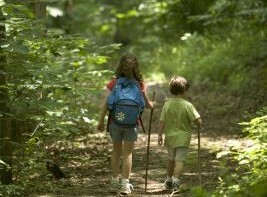 Nature Works Everywhere – tools to find local nature, nature activities and ways to get locally connected. 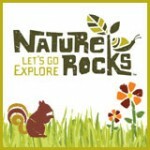 National Park Service Junior Rangers Program – connect with our local national park for ways to explore the Ventura County lands. The Stick Book: Loads of Things You Can Make or Do with a Stick, by Fiona Danks and Jo Schofield. What better place learn about nature and food than in a garden patch. 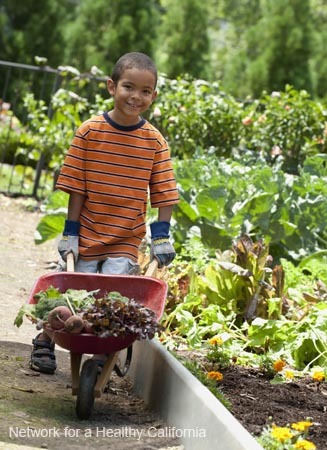 Gardening with your kids or grandkids at home or at a community garden provides the tangible benefits of exercise, fresh food, engagement with the soil and appreciation for where our food comes from. It also fosters communication, builds strong relationships, and offers an opportunity to work towards a common goal. 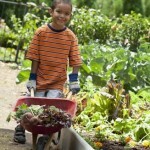 Click onto this excellent Kids Garden resource developed by the National Gardening Association for step by step instructions on how to begin a garden with your child- whether that be in your yard, garage, window sill or community garden.